In this day and age, quite literally everyone and their grandmother is on social media, including businesses like yours. Having an active social media presence is almost as important as having a website and a lot of consumers will question your legitimacy if that is not the case. Social media marketing can be a great tool to connect with potential customers and engage your existing client base in order to promote yourself, provide customer service and even sell products and services through those platforms directly. That being said like any other marketing tool, it needs to be used correctly. Thankfully WordPress makes it very easy to integrate your social media presence with your WordPress website, here are some social media tips to get you on the right track. Where are my customers and how to engage them? Marketing on social media means finding your niche and building relationships there. 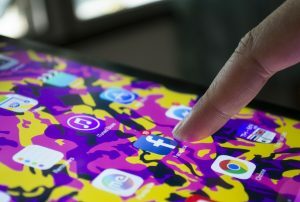 Between Facebook, Instagram, Twitter, Snapchat, etc there is plenty to go around, however it is most likely that your audience is predominantly active on one or two networks and trying to connect with them through all platforms will have you stretched thin and dilute the effectiveness of your campaigns. A powerful aspect of social media is the ability to connect and engage with your audience in a quasi face-to-face manner. Research shows that companies who respond to feedback in a timely manner appear more invested in what their audience wants, and that is good news for your bottom line. Regardless whether the feedback is good, bad or ugly; engaging with your customers is a way to show them that you care, showcase your expertise and a great opportunity to humanize your brand. Throw in a little humor and personality in your responses, as well as some photographs or videos to maximize your engagement. When, Why and What to post? If you have any doubt regarding what to post, feel free to get inspiration and take cues from other successful companies. It is important however to add your own flair and personality as well as be entertaining and catchy with the use of images or videos. There is also a lot of opportunity to sign up for social media articles to get the latest advice from experts regarding trends and the best practices tips. Once you’ve identified the optimal network to engage your customers, it is important to do so in a consistent manner. Having a posting schedule, as well as a time to respond to feedback is crucial. 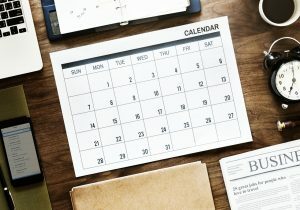 Like many other things in life, this is best approached with consistency rather than intensity and fortunately there are lots of tools out there that allow you to front load your content and set a posting schedule allowing you to focus on other areas of your business whilst still posting fresh content. SEO is a big part of making sure your online business goals are being reached and social media falls within the offsite SEO category. It is wise to create a link between your site and the networks you are active on. WordPress allows this connection to be made in a variety of simple ways. Many widgets will allow you to display your social media icons in various places on your site and there are many plugins dedicated to promoting your networks or sharing your blog post automatically upon submission (We enjoy the Social Networks Auto Poster plugin to broadcast blog posts to all networks ). By linking your site and your networks automatically, you will be able to improve your overall SEO with backlinks to your main site and traffic to and from your site, essentially compounding your efforts and helping you get closer to your overall business targets. Please contact us if you have any questions or need help dialing in your approach to social media or SEO, we would be happy to help.